We all dream of jet-setting off to Europe for an unforgettable getaway. A very, very expensive getaway. But that doesn't mean you can't get the full European experience right here in the ol' US of A. These seven cities are like little satellite versions of popular Euro destinations, where you can get your fill of polka without ever being too far away from a cheeseburger, and without spending all your hard-earned euros on a transatlantic flight. We didn't think there was anything in Iowa, but apparently it's where Europe's hiding, right in the town of Pella. Dutch-style architecture lines the streets and the Vermeer Mill (a windmill), located by Central Park, is the largest structure of its style in the United States. Spend a night in the Royal Amsterdam Hotel, preferably in May during their famous Tulip Time festival. 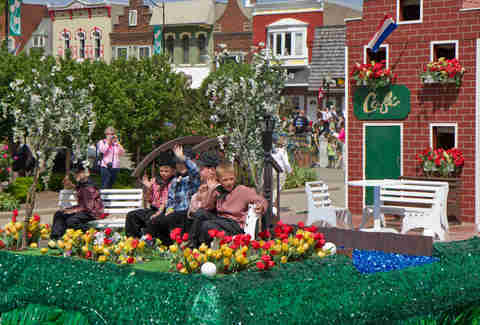 During this event, the streets are flooded with traditional Dutch attire, dancing, food, parades, and, of course, plenty of tulips. Don’t leave the city without a stop at Vander Ploeg for a creme horn or some Dutch apple bread. You’re not in Kansas anymore. No, once you enter Lindsborg you’ve arrived in Little Sweden, a kitschy town eager to say “Välkommen!” (Also, you're actually still in Kansas, dumbass.) Check out the Swedish Pavilion, a part of the 1904 World’s Fair, and be sure to look for the wild dala horses roaming around Main St. If you can, go in the fall for the the biennial Svensk Hyllningsfest -- don't worry, proper pronunciation not required -- which is a Swedish celebration filled with food, costumes, music, and dancing, but zero IKEA furniture. If you find yourself hankering for a good yodeling sesh, as we often do, head to the land of the Cheeseheads. New Glarus' alpine-style architecture and endless stream of cultural events like the Heidi Folk Fest make your visit feel like a European retreat. 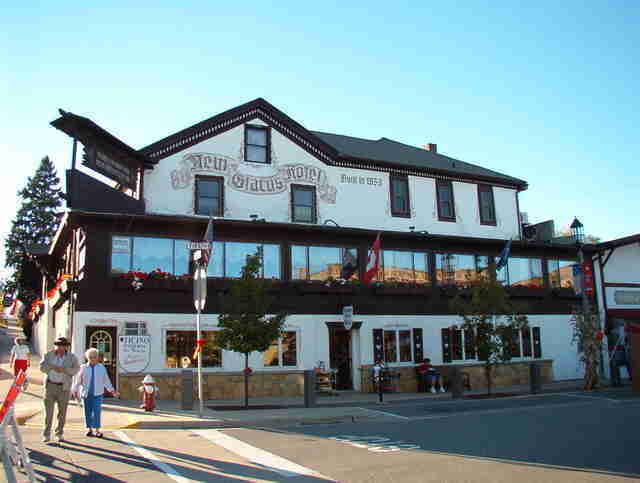 Grab a table at Glarner Stube for dinner after taking a tour of the incredible New Glarus Brewery. Then, stroll along main street with an almond horn from New Glarus Bakery and you may just catch the Yodel Club crooning on the lawn of the Swiss Church. Also, there's a ton of cheese here. Because you're still in Wisconsin. Get a taste of the Eastern Mediterranean in the last place you would think to find it... Florida. The Gulf Coast town of Tarpon Springs became populated by Greek immigrants at the turn of the 20th century, and today maintains the highest percentage of Greek-Americans in the country, with respect to the good folks at Delta Chi. 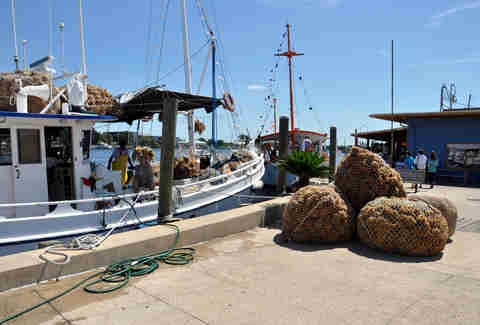 Cruise down Dodecanese Avenue to the Sponge Docks, where Greek divers scour for some of the finest sponges in the world. Hit Mykonos or Rusty Bellies for Greek eats along the way, but save room for chocolate-covered baklava from Hellas Bakery. Vacations: Good for Your Health. Seriously. 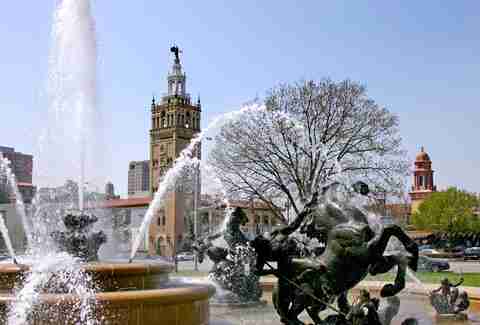 Cheapen your plane ticket for an experience rich in Spanish ambiance with a trip to Country Club Plaza in Kansas City. This shopping district and residential neighborhood was architecturally designed to mimic the city of Seville, and is complete with towers, ornate tile roofs, and sprawling courtyards. Go for a romantic gondola ride on Brush Creek or take a horse and carriage ride (kind of like in New York, but slightly less cliche). Street performers (and the occasional panhandler) lend further authenticity to the space. Although the area can be sufficiently experienced in a day, it’s still worthwhile to eat, drink, shop, and be merry for a while at this little Spanish destination. Oh, and if you don't get enough to eat with tiny tapas plates, you're bib-deep in BBQ country. A scenic two-hour drive from Seattle will take you to this quaint little gem nestled in the mountains of Washington. 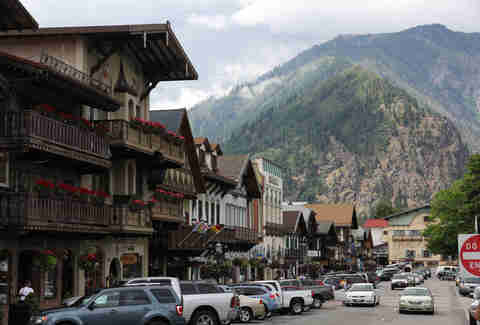 Leavenworth is modeled after a small Bavarian village, and makes a great holiday escape in the fall and winter months. Oktoberfest brings crowds for German beer, food, and events, and towards December there are plenty of Christmas shops and themed eateries like The Gingerbread Factory to get you in the spirit. Icicle Brewing Company offers tours and tastings if hot chocolate just won't do it, and the Nutcracker Museum lets you share a room with over 6,000 creepy wooden men. You know, if that's what you're into. A perfect road trip spot between Dallas and Austin, West remains heavily influenced by the Czech immigrants who settled the space in the late 1800s. Czech Stop, off I-35, is a popular spot for kolache, a traditional yeast roll stuffed with either sweet or savory fillings. 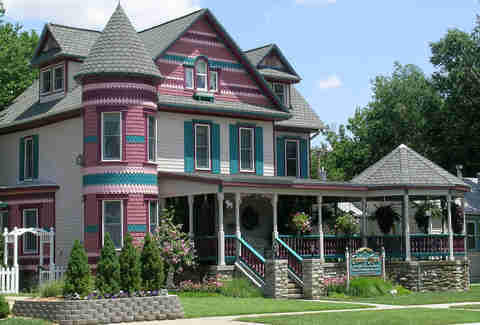 Olde Czech Corner Antiques is a great stop for traditional items from the Eastern European country. 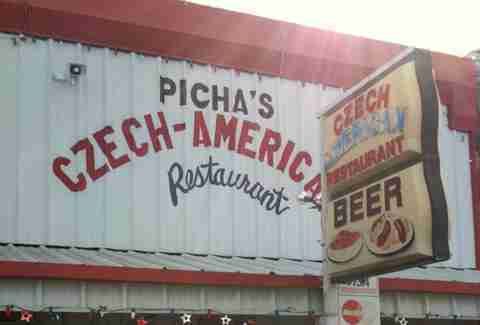 Round out your visit with a meal at Picha’s Czech-American Restaurant, where you can keep it European with pierogi or get in touch with your inner Texan with chicken fried steak. 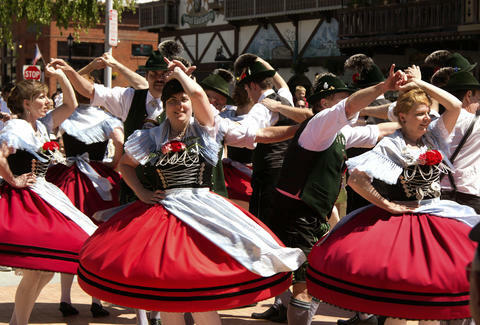 If you can, get there for West Fest, a weekend-long celebration of all things Czech and polka. The real-deal country may be superior in that their beer is cheaper than water, but think of all the plane ticket money you’re saving! Na zdraví! Sarah Anderson is a Production Assistant at Thrillist and thinks about her semester abroad in Prague enough to give Texas a try. Peep her Pilsner shots at @smileforsarah.